Falsehood will not help you win the 2019 election, APC tells PDP – Royal Times of Nigeria. The All Progressives Congress (APC) on Sunday, urged the Peoples Democratic Party (PDP) to rethink its strategies of returning to power in 2019. 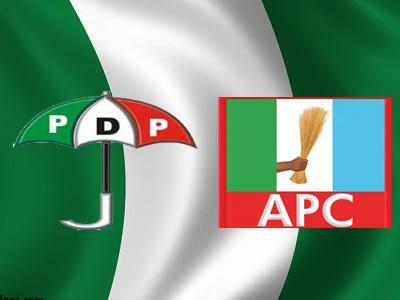 The ruling party said deliberate falsehood will not help the PDP attain its mission. According to APC, Nigerians are not gullible and can differentiate between a party that brought the country to where it is today and the party clearing the rot and rebuilding the country. Reacting to a statement credited to the PDP about the President Muhammadu Buhari’s request to borrow about $5.5 billion loan, the APC in a statement signed by its National Publicity Secretary, Mallam Bolaji Abdullahi, said the PDP must wake up to new realities that the days of borrowing to pay salaries and fund bogus projects are long gone. It reminded the PDP that the loan being requested by the President was to fund specific projects that will boost the nation’s infrastructural growth, adding that the loan is meant to be used to fund the budget deficit in the 2017 budget. The statement, “In reacting to the PDP recent statement on the plan by the President Muhammadu Buhari administration to obtain a $5.5 billion foreign loan, the APC urges the PDP to wake up to new realities that the days of borrowing to pay salaries and fund bogus projects are long gone. “In developing economies, governments typically resort to borrowing to finance economic development projects because taxation and other revenue streams may not necessarily provide sufficient funds for economic development. “The recent borrowing plans proposed by the President Buhari administration is no different as the President has clearly stated in his request to the National Assembly that the loan will be used to finance the 2017 budget deficit and invest in a critical and verifiable infrastructure project, which will ultimately grow the economy. “The PDP in its statement unapologetically claimed that it ‘meritoriously’ governed the country for 16 years and ‘handed over a buoyant economy to the APC in 2015’. Really, what could be further from the truth? The APC considers the claim a new height of PDP’s insensitivity to the populace and has further exposed the PDP as a party unrepentant for the rot it left the country after its 16 years rule. “Even when crude sold above $100, the immediate-past PDP-led administration struggled to build savings. In addition, the excess crude account was misspent. Poor capital expenditure meant badly-needed infrastructural development was put on hold. This forced construction companies with government contracts to cut back and sack thousands of workers. “The former minister had said that ‘Out of the N882 billion budgetary provision for borrowing, the government has borrowed N473 billion to meet up with recurrent expenditure, including salaries and overheads’. “Today, successive national budgets of the APC administration has prioritised and increased budgetary allocation for capital projects as one of the strategic ways to stimulate economic growth in the country.